I spent most of yesterday making tomato sauce. 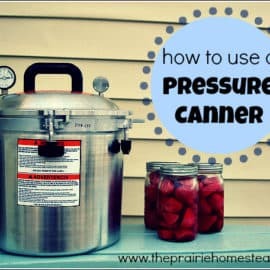 There was washing, trimming, smashing into a food mill (I have this one and it’s a life saver- affiliate link), simmering, stirring, seasoning, and thennnnnn, finally at 6:39pm, I started ladling the gallons of sauce into quart jars and lowering them into the boiling water canner. And I had to ask myself, WHY ON EARTH am I doing this? No really. I asked myself that. It was hot, messy, and monotonous. All the components of a super fun day, right? However, all inconveniences aside, I know it’ll be 100% worth it when I pull those shiny red jars of homegrown tomatoes out of my pantry on a blustery winter day. Not to mention, what else am I going to do with the 5,873 San Marzano tomatoes that are currently in my garden and needing to be canned ASAP? Making tomato sauce is a commitment. 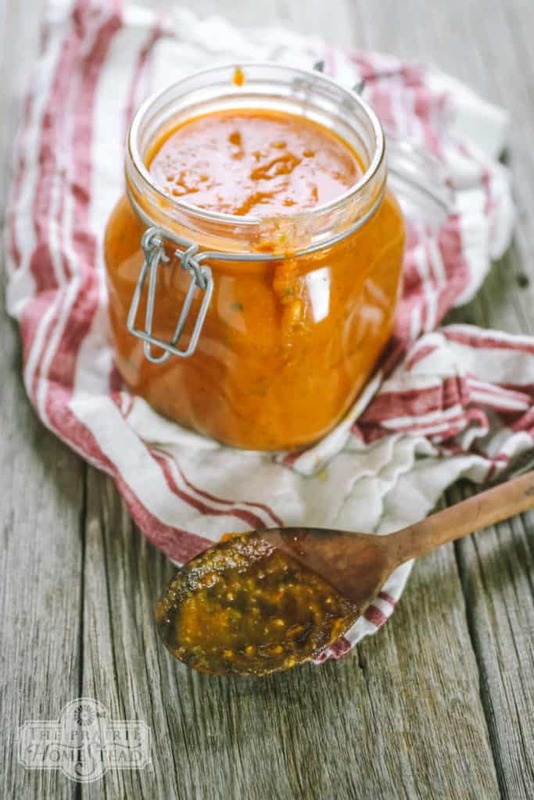 Long, slow simmering evaporates the water from the tomato puree and results in a thick sauce with an amazing depth of flavor and intensity you just can’t get any other way. Let’s just say you don’t have enough tomatoes to make gallons of sauce to can. And let’s also say that you don’t happen to have 12 hours to patiently watch sauce simmering on the stove. Well, you still have options, my friends. 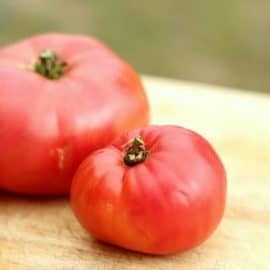 I started experimenting with this fast tomato sauce recipe several years ago, and I’ve been making it regularly ever since. 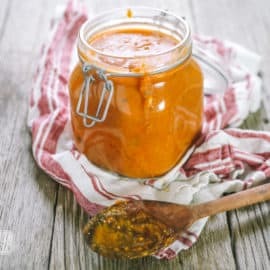 It can be whipped up in 15 minutes or less, and only requires a handful of tomatoes, instead of bucketloads. Hallelujah. 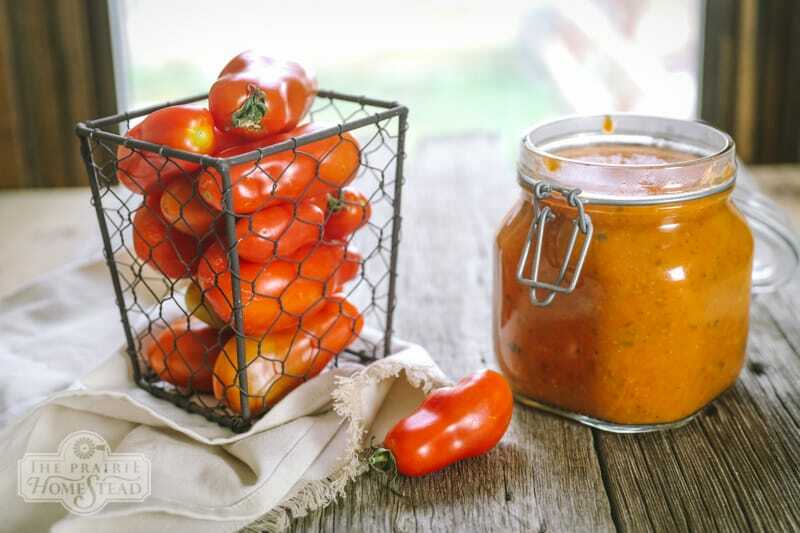 The flavor of this quick tomato sauce is different than your traditional all-day tomato sauces (it’s a little brighter and fresher tasting), but it’s quickly becoming my go-to when I need pasta sauce or pizza sauce in a hurry. I used to have this recipe as a tagalong in my How to Freeze Tomatoes post, but I found myself referencing it so much, I figured it deserved to have updated photos and a post of its very own. Keep in mind the measurements here are very loose guidelines and definitely not set in stone. I never measure when I’m making tomato sauce, and it’s ALL about the flavor that develops as I put this sauce together. Taste frequently and adjust as needed. In a medium saucepan, gently heat the garlic in the olive oil for several minutes. We’re not looking to brown it, or even saute it really– just to soften it and mellow out the flavor. Add in the tomatoes and allow the tomatoes and garlic to mingle, stirring as you go. The tomatoes will release their juices, and you can season with salt/pepper accordingly. Stir and simmer the tomatoes until softened, and now add in the herbs. You can use dried herbs if you wish, but if at all possible, use fresh basil and/or oregano. The flavor difference is amazing. Puree the mixture with your hand blender. I like to leave my fresh sauce a little bit on the chunky side. If you don’t have a hand blender, you can puree in a food processor or blender instead. But seriously– you NEED a hand blender (like this one- affiliate link). I use mine all the time. Toss with fresh pasta (combining this with homemade pasta is out of this world) or use it as a topping for your favorite pizza recipe. 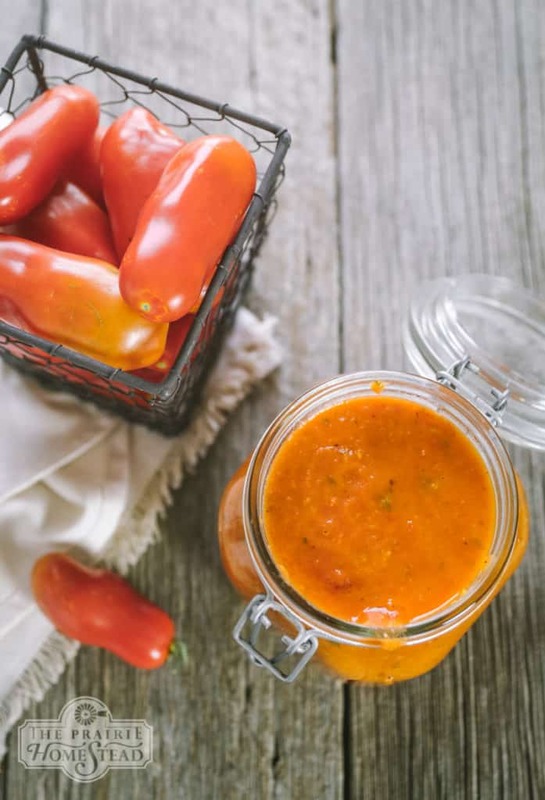 Remember– this sauce will have a much brighter, fresher flavor than a slow-simmered sauce, or a sauce made with canned tomatoes. 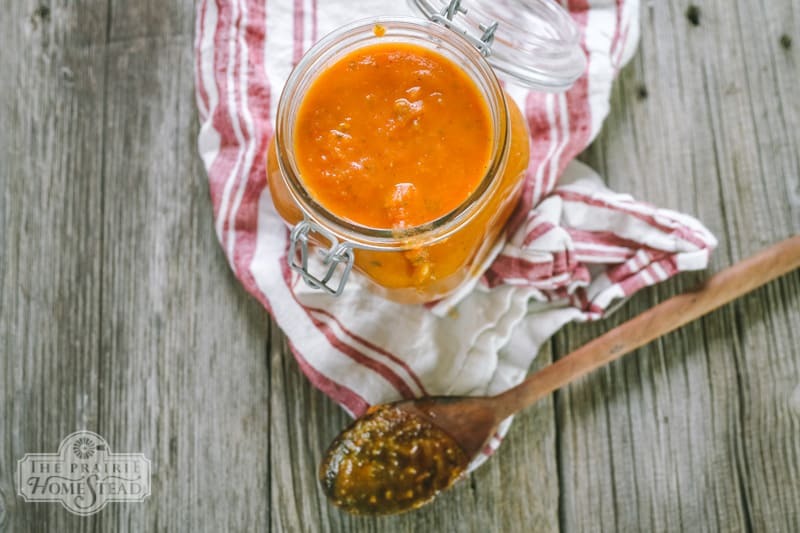 Although there’s still a place for all-day-simmered sauce, I adore the brightness of this fresh version. 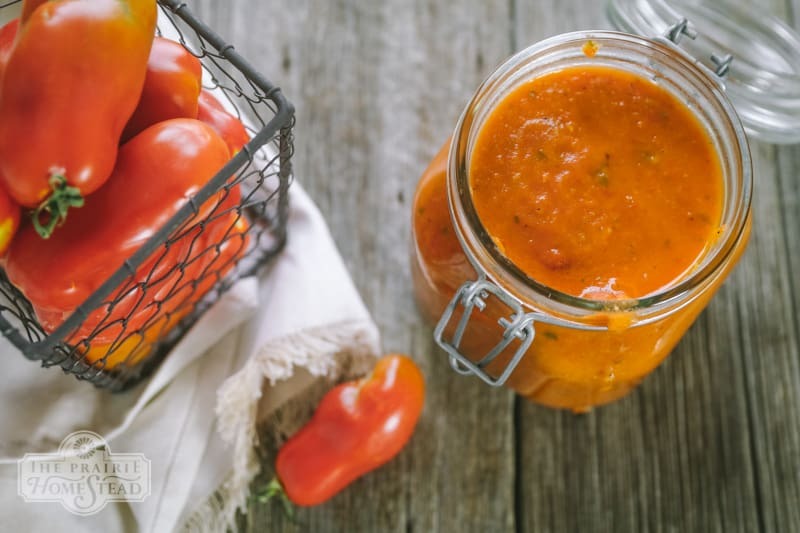 If you have tomatoes in your freezer, this fast tomato sauce recipe is a great place to use ’em! You don’t even have to thaw them first– you can simply pop them straight into the sauce pan after you heat the minced garlic. Allow the tomatoes to thaw out in the pan over medium low heat, and then proceed with the rest of the recipe. And in case you are curious how to freeze tomatoes, here’s my tutorial for that. I like to keep this fresh tomato sauce pretty simple and crisp in flavor. However, you can go crazy adding spices and herbs if that’s your jam. 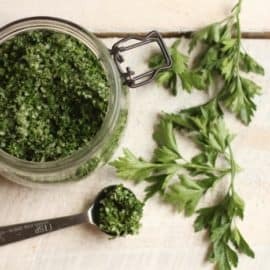 Try parsley, crushed red peppers, or even a dash of brown sugar to cut the acidity, if needed. 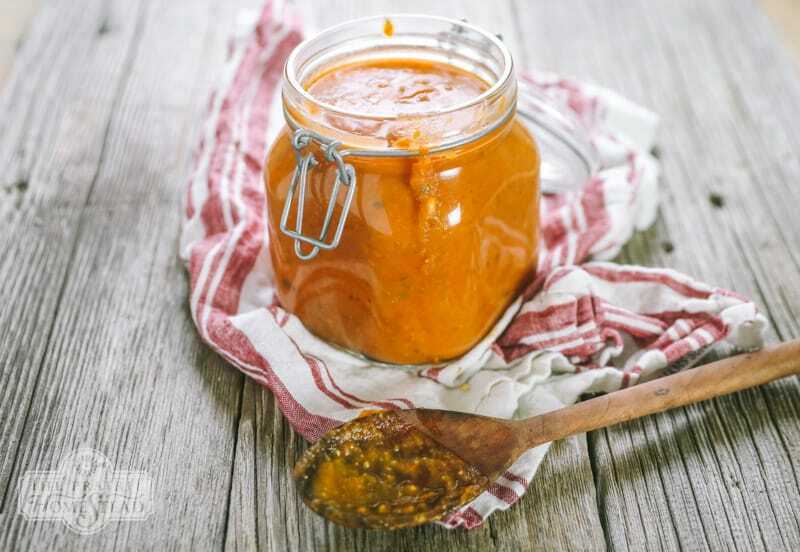 This sauce can easily be poured into freezer-safe containers and frozen for several months. If you don’t have a hand blender, you can puree in a food process or blender instead. But seriously– you NEED a hand blender (like this one). I use mine all the time. I like the simplicity of this recipe! Just wondering, do you find fast-cooking tomato sauces more acidic than the slow-simmered kind? I run into this when I make mine and it gives me heartburn, which isn’t an issue when I use a slow-simmer method. 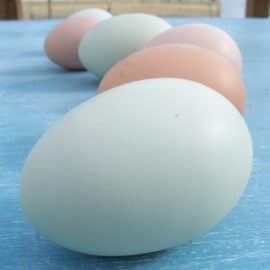 I’m going to give this recipe a try though! Hmmm… I haven’t noticed that in particular, that’d be interesting to test with a pH strip, though! This looks really tasty! I do a very similar version, but throw it all in the oven to roast a bit before blending it. YUM! I love the idea of roasting the tomatoes first! Sorry Sweetheart. After decades of various tomato experience. Blanching is the way to go. Otherwise the sauce has floating “skins” that are not tasty or handsome. I guess the occasional skin doesn’t bother me that much… Especially not in this quick sauce. I do run my other tomatoes through a food mill for canned sauce. Just started seeing the stuff you do .. love it can say I do things almost sameway u do. Just have to ask were do u find jars. At that lock seal . We dont have anyone around here that sells them .. just normal canning jars. Thanks looking forward to more to more videos. U have . Do you remove the tomato skins after simmering or do you just blend them in?